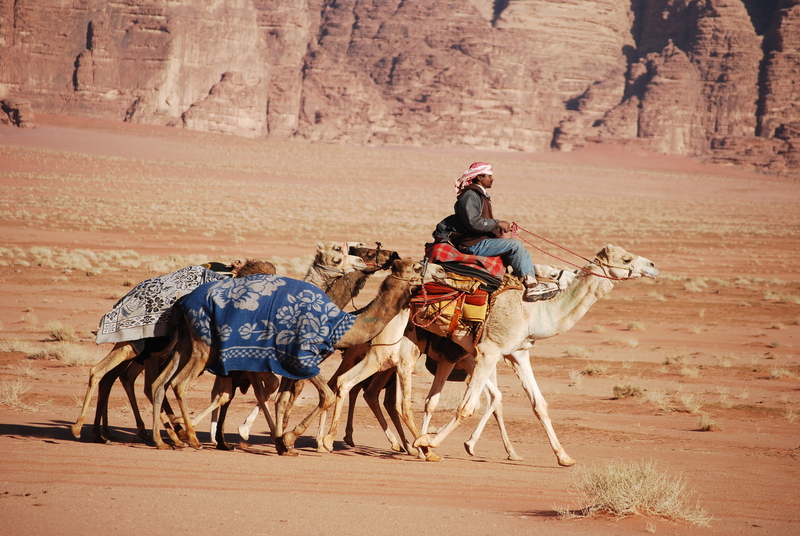 The « desert ships » is a two days and two nights camel trek. The departures are guaranteed from 2 people to 8 people. We have departures everyday at 9.30 am. If you would like to join this program, please contact us to check booking status. 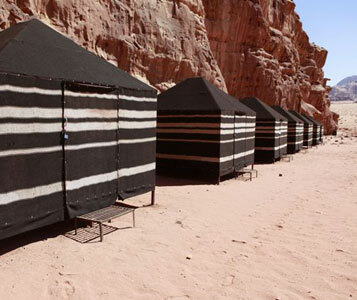 We can also offer you a private, longer or shorter trek. 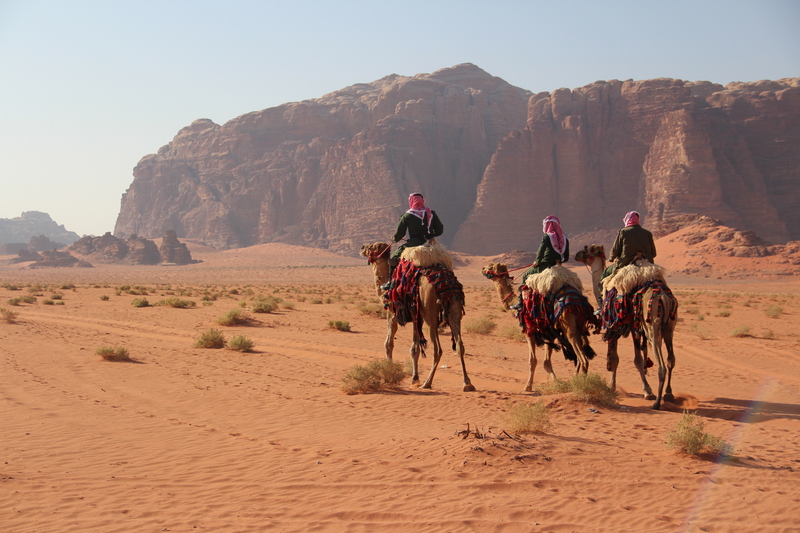 Arrival in the village at 9.30am, time to drink tea and to meet your bedouin guide. Then you will start riding from the village through Rum valley to Lawrence’s spring for a first stop. 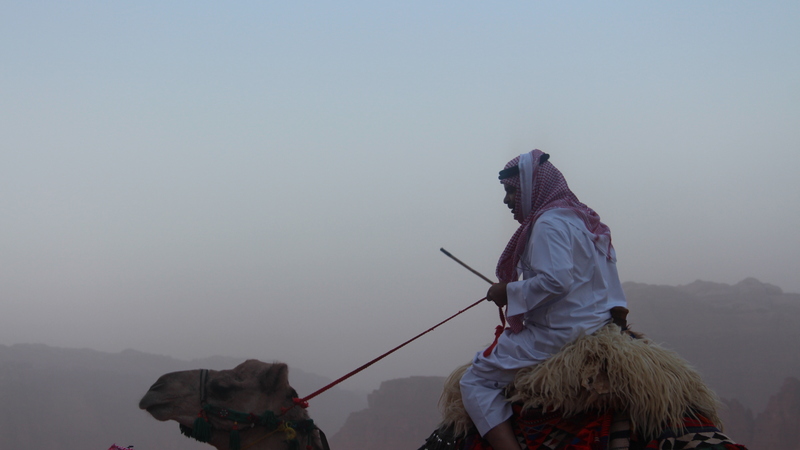 From there our caravan will continue to Jebel Khazali, and its canyon with very beautifull and well preserved nabatean inscriptions reminding the ancient times of the area. 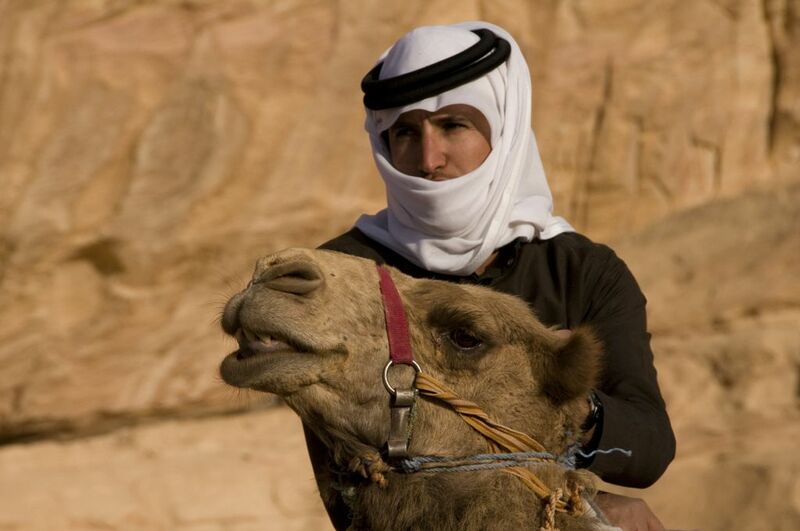 After a good bedouin lunch and a pleasant nap, you will continue through Khash khaseh valley and reach the mountain of Abu Hassaran where you will have dinner and spend the night in our bedouin camp. 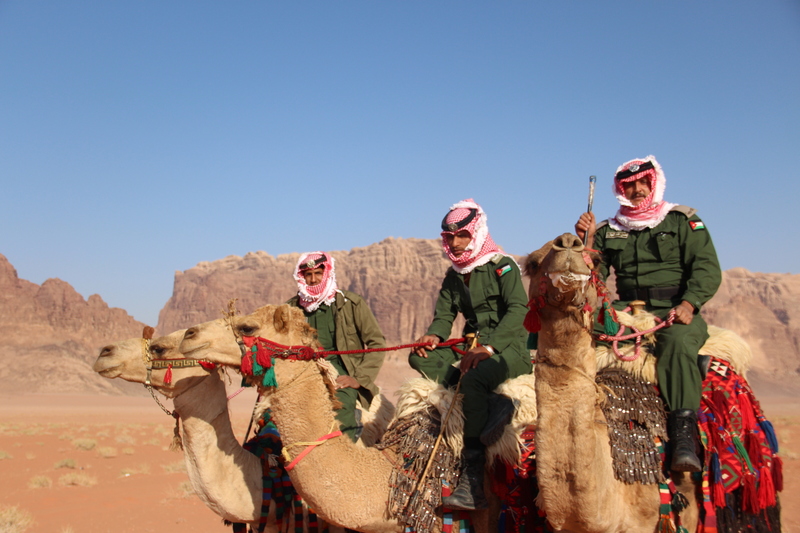 After breakfast, you will ride your camel through beautiful narrow canyons on the way to Jebel Burdah. After lunch you will continue to the natural rockbridge of Um Fruth and you will have the chance to climb it up. 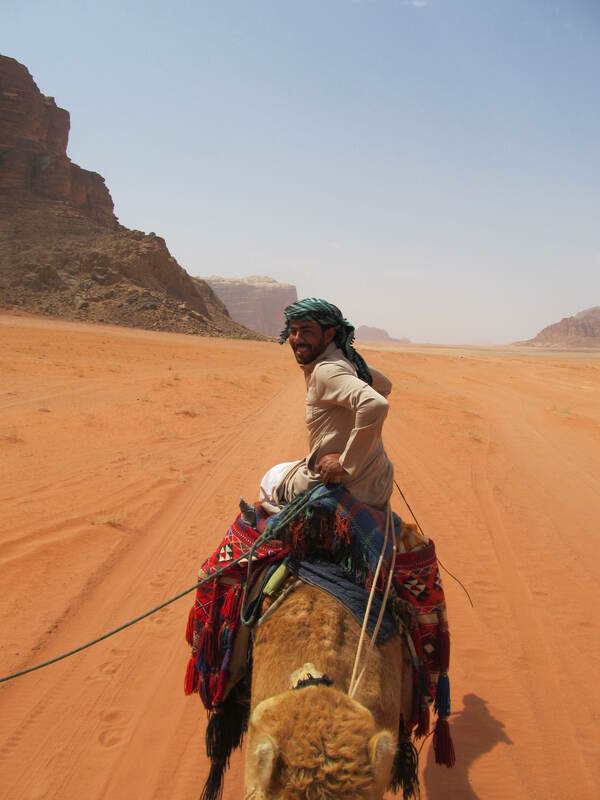 Then you return the camp, riding camel through Abu Khasheba valley. 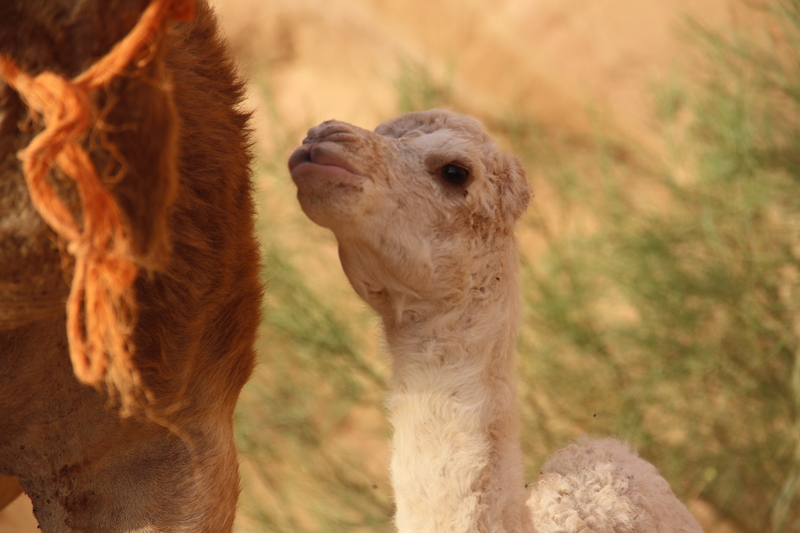 Dinner and night in our bedouin camp.The next morning we will drive you back by jeep to the village around 08.30 am.